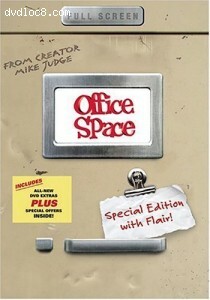 This page contains easter eggs for the disc Office Space: Special Edition (Fullscreen Edition) (DVD, Region 1). Go to special features, then highlight main menu and press the right arrow. You will see a red stapler. Click on it to see the credits.